Before more permanent structures were built, hilltop fires were used for sea navigation. People eventually started building platforms to increase the fires’ visibility, which eventually led to the development of lighthouses. Unlike modern lighthouses, which are used as warnings, ancient towers were used as entrance markers to ports. According to Homeric legend, the first lighthouse was invented by Palamidis of Nafplio. 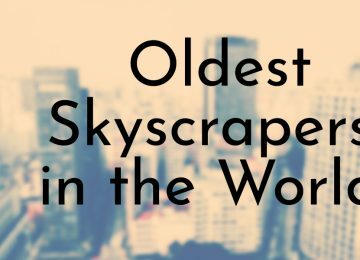 Only one of these ancient lighthouses is well-documented and included on this list. With the exception of one lighthouse, all of these lighthouses are still running today. Boston Light, the lighthouse located on Little Brewster Island, was the first lighthouse built in the United States. The first lighthouse on the site was lit on September 4, 1716. To help maintain the lighthouse, a tonnage tax of 1 penny per ton on all vessels, except coasters, moving in or out of Boston Harbor was collected. 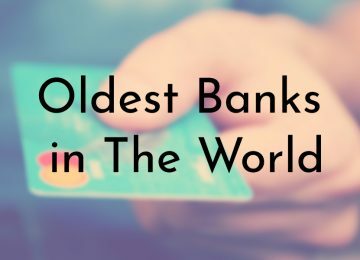 Before the start of the American Revolution, the British took control of the island in 1774 and blocked the harbor the following year. During the Revolution, American troops destroyed the lighthouse, preventing the British from using it and disabling their ships. In 1783, the Massachusetts Legislature supplied money to build a new lighthouse, which still stands today. It is the only lighthouse in America still actively staffed by the U.S. Coast Guard, even though it was automated in 1998. 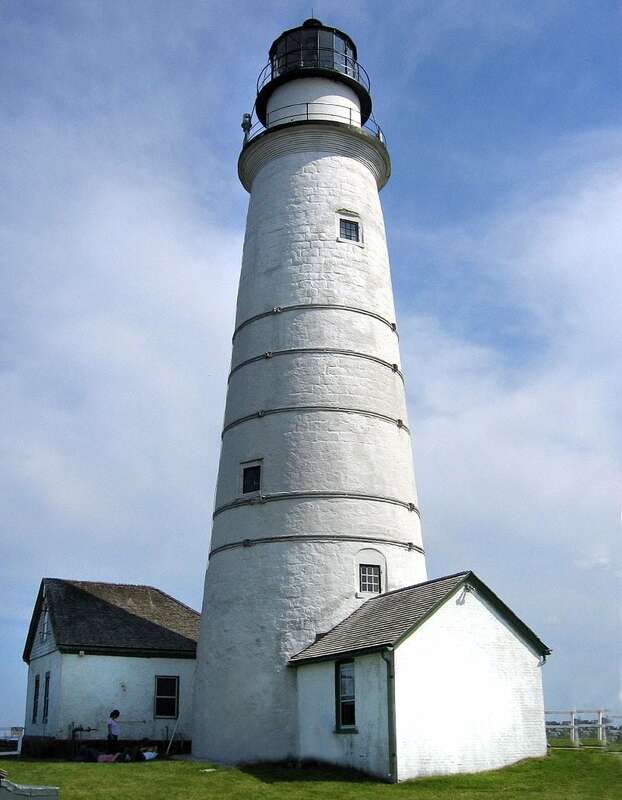 Boston Light was designated a National Historic Landmark in 1964. 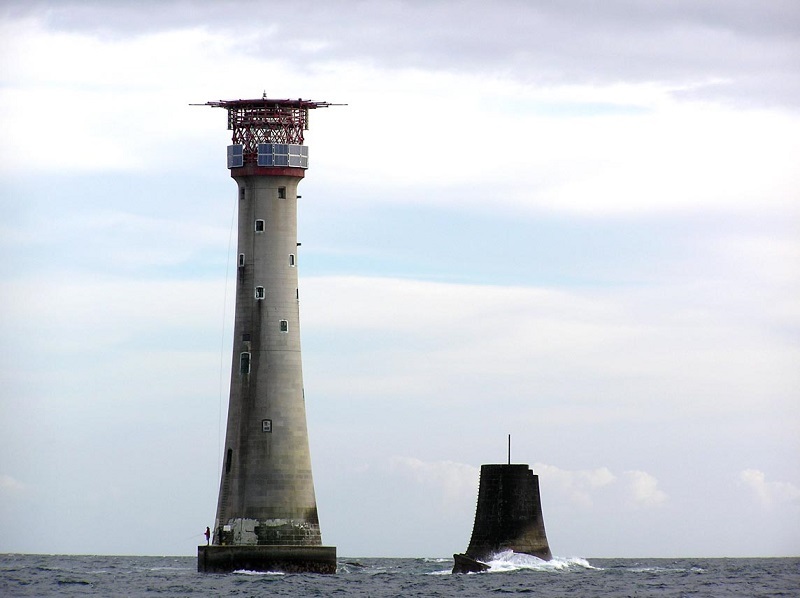 The Eddystone Lighthouse is well-known for its extensive history; it is the fourth lighthouse built on the dangerous Eddystone Rocks. Before the first lighthouse was built, several shipwrecks occurred in the area as it was one of the most important naval routes. The first lighthouse on the site was known as Winstanley’s Lighthouse and it was lit on 1698. 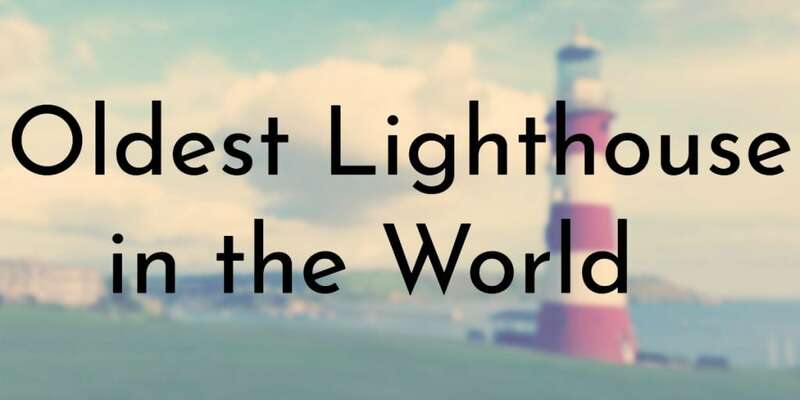 It was the world’s first open ocean lighthouse. This tower only lasted for a few years until it was destroyed by the Great Storm of 1703. John Rudyard was commissioned to build the second lighthouse, which was completed in 1709 and destroyed by a fire in 1755. Smeaton’s Tower (designed by John Smeaton), the third lighthouse and most important iteration, was constructed in 1759. It influenced modern lighthouse design and the development of concrete for building. The current tower was lit in 1882 and stands next to the remains of Smeaton’s Tower. The Cordouan Lighthouse (Tour de Cordouan) is the oldest lighthouse in France and the tenth tallest traditional (built of masonry) lighthouse in the world. Before the current tower was built between 1584 – 1611, small beacon towers existed on the islet since at least 880 CE. The first proper structure was about 15 m (48 ft) high and was implemented by Edward, the Black Prince as the area was an English province at the time. Passing ships paid two groats (old English silver coins) to pass, marking the first known instacne of lighthouse fees. 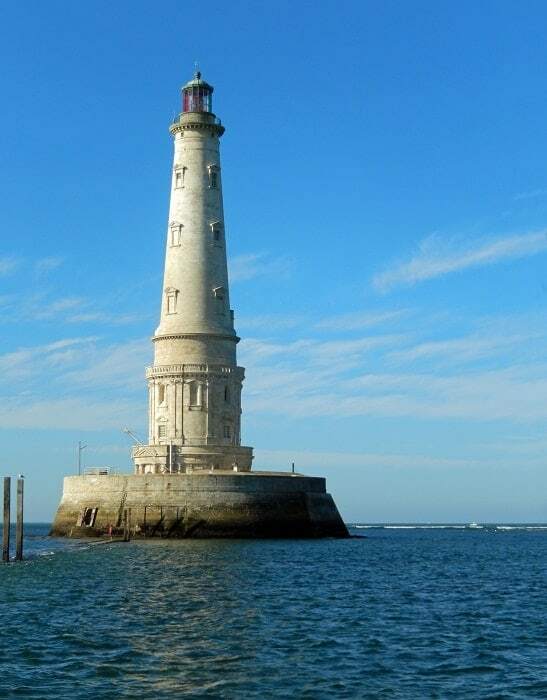 By the mid-16th century, this first lighthouse fell into disrepair, which threatened the navigation of the Bordeaux wine trade. The current tower was designed by leading Paris architect Louis de Foix and had rooms that served as apartments for its keepers as well as the King’s Apartment. The lighthouse was restored in 1855 and was declared a historical monument in 1862. 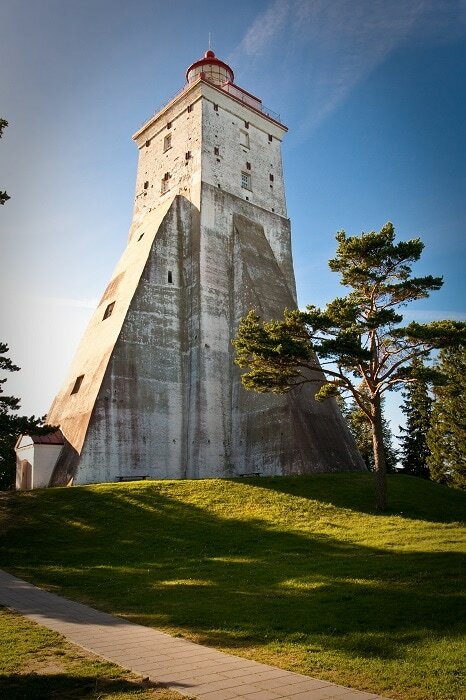 The Kõpu Lighthouse has been in continuous use since it was first built in 1531. The idea for the lighthouse dates back to before 1490 because the most important East–West shipping lane in the Baltic Sea passed the Hiiu sandbank, where the tower is located. Hanseatic merchants had been asking for years to put a landmark on the peninsula and they finally got permission in 1499 from the bishop of Bishopric of Ösel-Wiek. The following year, the bishop agreed to let them build a massive stone pillar without any openings. 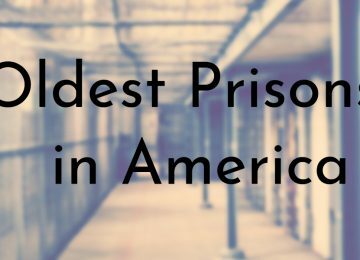 However, construction was stalled for the next few years after a war broke out. The majority of the tower’s construction took place from 1514 – 1519 and a fire was first lit in the fall of 1531. Since then, a few parts of the tower have been reconstructed. Today, Kõpu Lighthouse serves as a symbol of Hiiumaa and is a major tourist attraction. 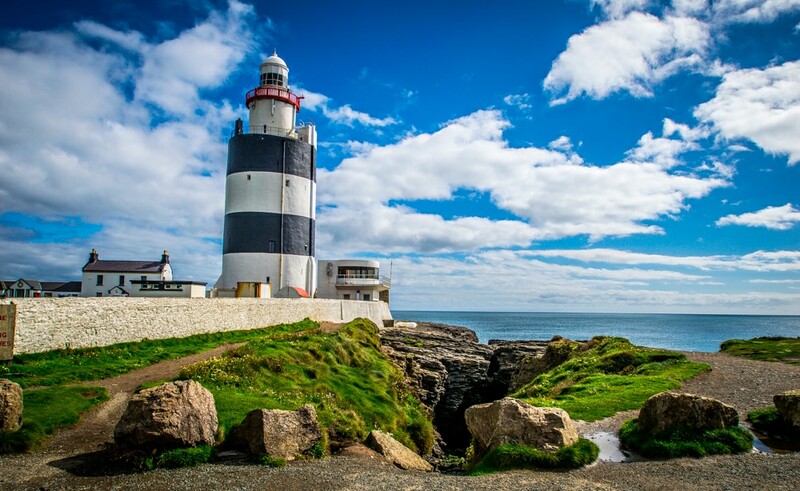 Since the Lighthouse of Genoa was rebuilt in 1543, the Hook Lighthouse (also called Hook Head Lighthouse) is the second oldest continuously operating lighthouse in the world. The tower was constructed sometime in the 12th century, but according to Irish tradition, Dubhán, a missionary to the Wexford area, established a form of beacon as early as the 5th century. William Marshall, 2nd Earl of Pembroke wanted to build a lighthouse so ships could safely reach the new port town he established called New Ross. It was constructed of local limestone and the original building is still intact. The lighthouse’s original keepers were monks and today it is remotely controlled from Dún Laoghaire by the Commissioners of Irish Lights. In 2001, the lighthouse opened as a tourist attraction after the old keepers houses were turned into a visitor centre. The Lighthouse of Genoa, simply called Lanterna, has served as symbol and landmark of Genoa, Spain for several centuries. The original lighthouse was built in 1128 (although some sources put the date at 1161) and the current tower was built in 1543. The previous tower had been damaged several times due to various fights and wars. The tower has also been struck by lightning on numerous occasions, and one of its caretakers died from a lightning strike in 1481. 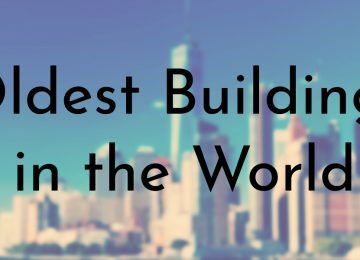 The lighthouse is one of the tallest in the world. It is the fifth tallest overall and the second tallest traditional lighthouse (built of masonry). From 1543 until 1902, it was the tallest lighthouse ever built. In 2004, a museum called the Museo della Lanterna was built adjacent to the tower and it was opened to the public in 2006. 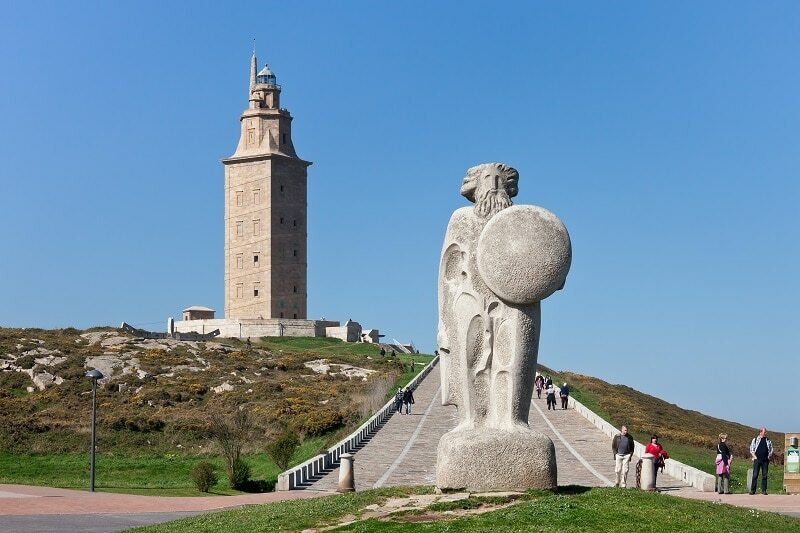 Although there were other ancient lighthouses, the Tower of Hercules is the oldest surviving lighthouse in the world. The exact date of the tower’s construction is unknown, but records show that it has existed since at least the 2nd century CE. 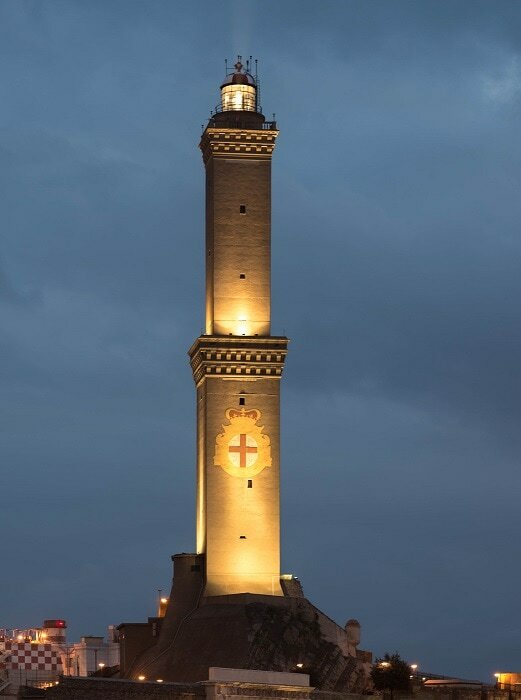 It may have been built or rebuilt by the Roman Emperor Trajan and modeled after the Lighthouse of Alexandria. An inscription on the base of the tower says that its architect was Gaius Sevius Lupus, from Aeminium (present-day Coimbra, Portugal) as an offering dedicated to the Roman god of war, Mars. The tower was restored between 1788 – 1791 and today the lighthouse is a National Monument of Spain. 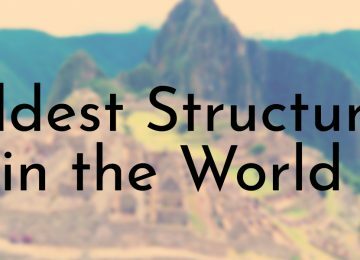 It has also been a UNESCO World Heritage site since 2009. 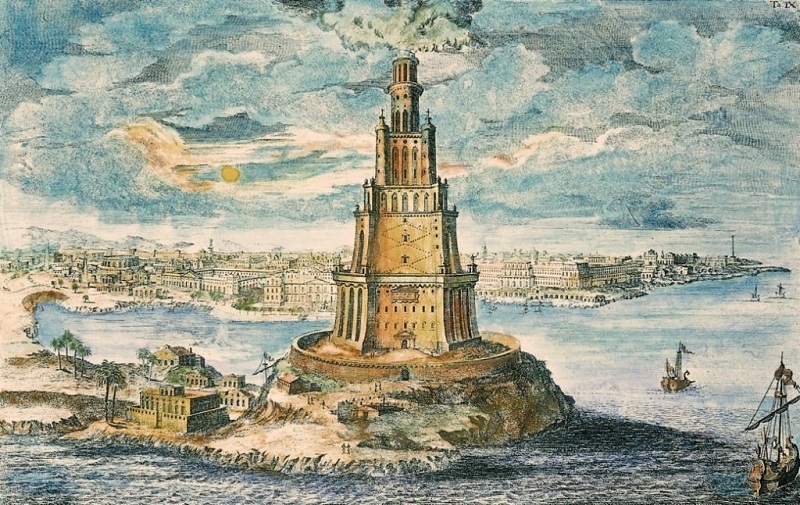 The Pharos of Alexandria, commonly called the Lighthouse of Alexandria, is the often considered the oldest lighthouse in the world. It was built by the Ptolemaic Kingdom of Ancient Greece sometime between 280 – 247 BCE and was one of the first lighthouses ever built. Construction of the tower first started after Alexander the Great died when Ptolemy I Soter announced himself king in 305 BCE. It took over 12 years to complete and served as the prototype for all future lighthouses. The lighthouse was one of the Seven Wonders of the Ancient World (it was the third longest surviving ancient wonder) and for many centuries it was one of the tallest man-made structures in the world. Although the lighthouse survived for many centuries, it was badly damaged by several earthquakes – first in 956 CE and then again in 1303 CE and 1323 CE. The tower’s final remains disappeared in 1480, when the then-Sultan of Egypt, Qaitbay, built a fort on the larger platform of the lighthouse site using some of the fallen stone.